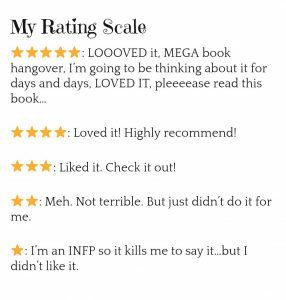 I went into this book expecting a mostly lighthearted rom-com but Alisha Rai delivers so much more than that with The Right Swipe. So much more. This is a vibrant, diverse and dynamic romance featuring a powerful and successful woman of color up against all the crappy odds and swirling b.s. that dominates our news cycle every day. Prejudice. Racism. Sexism. Harassment in the work place. And yet Rhiannon kills it in the business world. It was just the sort of heroine I needed to read right now. However…Rhiannon isn’t perfect. In fact, I was often pretty mad at her. She has MAJOR trust issues, and I get it, but I think she was too hard on Samson most of the time. Because, seriously, he had a REALLY good reason for “ghosting” her. And she held that against him for way too long. Come on, Rhiannon.I loved Samson. He was all things kind and patient and muscley-hot and what else could you want?! 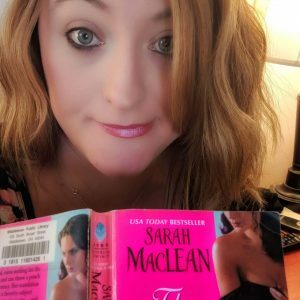 I don’t often want to see a heroine grovel before a hero but I think Rhiannon’s journey toward trust would have been more satisfying for me if she’d groveled a little. Samson deserved a grovel. Having said that though…I loved The Right Swipe. I completely FREAKED OUT when I was granted the chance to read an ARC. 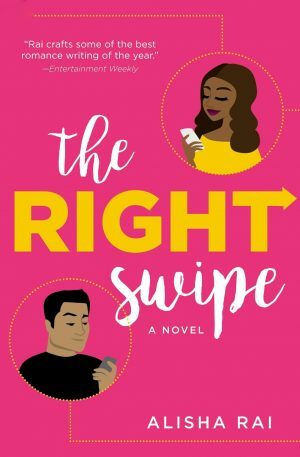 The RIght Swipe will be released in July and it’s going to be a glorious summer pool-side read! Thank you to Edelweiss and Netgalley for the opportunity to read an advanced copy.